Further adding to their Supreme Cinema Series, Sony Pictures Home Entertainment has also added Bram Stoker’s Dracula to the list of releases to receive the special 4K restoration and Dolby Atmos treatment—and we couldn’t be happier. In fact, it is going to be the first film in the series, kicking off the new banner that offers premium, limited edition collections befitting beloved cinematic favorites and modern classics. Each film in the series is presented with pristine high definition picture, enhanced sound and a collection of new and/or archival special features, creating an ultimate edition for first-time viewers and fans alike. Originally released in 1992, “Bram Stoker’s Dracula” follows the devastatingly seductive Transylvanian prince, Dracula (Gary Oldman) who travels from Eastern Europe to 19th century London in search of human love. After centuries alone, the charismatic Dracula meets Mina (Winona Ryder), a young woman who appears as the reincarnation of his lost love and the two embark on a journey of romantic passion and horror. 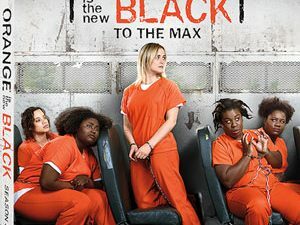 The release will also include a series of brand new bonus features, suc has the Featurettes ”Reflections in Blood: Francis Ford Coppola and Bram Stoker’s Dracula,” “Practical Magicians: A Collaboration Between Father and Son” and a Rare 1993 Commentary with Francis Ford Coppola, Roman Coppola and Greg Cannom. Culled from previous releases of the film you will also find Deleted Scenes and an Audio Commentary and Film Introduction by Director Francis Ford Coppola on the disc, along with four Legacy Featurettes. Like all Limited Edition Supreme Cinema Series releases, this title will also come in a High-end Clear Case package and offer up a 24-page Booklet with rare photos, behind-the-scenes info and an all-new exclusive written introduction from Director Francis Ford Coppola. 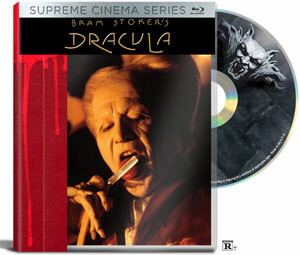 “Bram Stoker’s Dracula” will arrive in its full glory on October 6 for $38.99.